It is hard to believe that there are officially only two weeks left in 2013. Ohio Proud wants to look back at another wonderful year by highlighitng thirteen great memories that took place in 2013. 1. Ohio Power Show: Ohio Proud partners attended and exhibited their products in January for the Ohio Power Show at the Ohio Expo Center! 2. 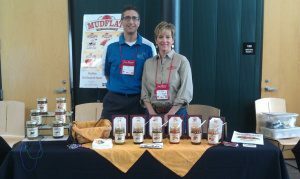 The Ohio Food Forum: Partners were invited to attend the Ohio Food Forum at the Nationwide 4-H Center that brought together companies and retailers for a great way to meet and make new contacts and business deals! 3. The Ohio State Fair: The Ohio State Fair took place at the end of July and hosted a beautful display of Ohio Proud products that promoted buying Ohio Proud! 4. 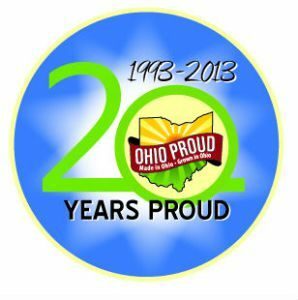 Ohio Proud’s 20th Anniversary: The program celebrated their 20th anniversary this August by walking in the parade at the Ohio State Fair and were featured on TV! 5. The Ohio Proud Video Tour: Ohio Proud associates have been on the road visitng and taking video footage of Ohio Proud companies to promote our partners and their businesses through social media! 6. The Oh So Fresh Campaign: Ohio Proud partnered with the Ohio Grocer’s Foundation this summer to particiapte in the USDA Specialty Crop Grant for the Oh So Fresh marketing campaign that promoted buying locally grown produce. 7. Ohio Proud on the Menu: Ohio Proud was excited to create a new division of the program, Ohio Proud on the Menu, which promotes locally sourced restaurants and cafes. 8. The Ohio Proud Fall Harvest Famer’s Market: Ohio Proud partners came together on a beautiful fall, Saturday afternoon in September for the annual Ohio Proud Fall Harvest Farmer’s Market. 9. Farm Science Review: Ohio Proud companies and products were on display and sampled by thousands of Farm Science Review attendees in September. 10. Ohio Apple Taste Challenge: Ohio Proud held two Ohio Apple Taste Challange events this fall in conjuction with the Oh So Fresh campaign that encourged consumers to buy locally grown produce. 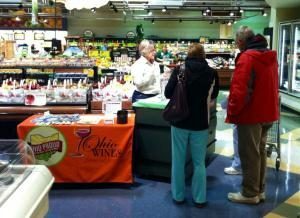 One event took place at Riesbeck’s in Cambridge and one event took place at Buehler’s in Ashland. 11. Ohio Pumpkin Painting Day: Children were invited to paint Ohio pumpkins with Ohio Proud in October at Buehler’s in Delaware in conjuction with their Celebration Saturdays! 12. Ohio Proud’s 500th Partner: Ohio Proud was excited to welcome their 500th partner this fall, Olive Branch Ministries! 13. 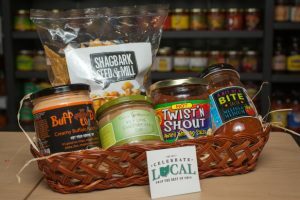 Ohio Proud’s Holiday Campaign: Ohio Proud has partnered with Celebrate Local to create holiday gift baskets to encourage holiday shoppers to buy local this season!